Mandy, an artist from Canada (Winnepeg, Manitoba), is the small business owner of Over The Rainbow. She contacted me last month and said she'd like to participate in a giveaway with Twin Talk! 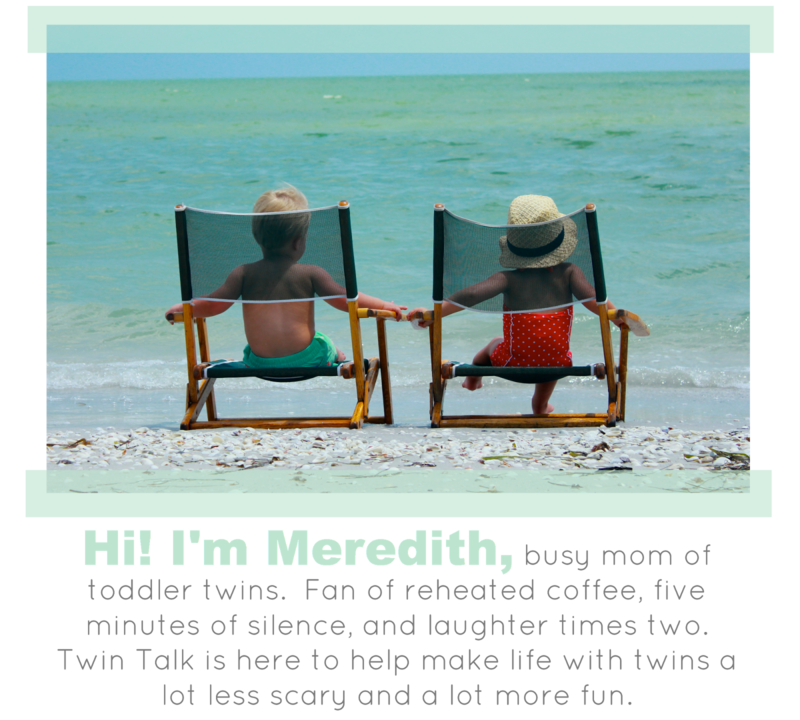 Mandy has five kids, including a set of twins, so I'm thrilled to introduce her shop to Twin Talk readers! We emailed back and forth on what would be the perfect giveaway, and when she told me about her playsilks, I was sold. Jude & Sloane's Sunday School class has brightly colored scarves that the kids use while singing praise songs. They were always some of the first kiddos to grab the scarves (I know this because Michael and I were their Sunday School teachers - ha!) so I knew Mandy's playsilks would be a hit. And they most assuredly were! 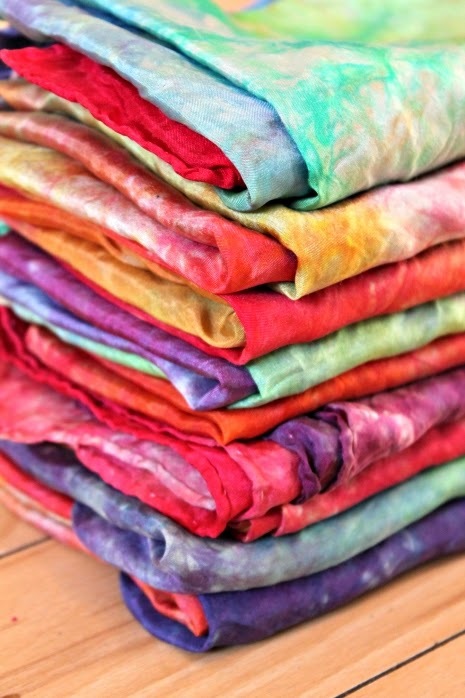 The playsilks are beautifully hand-dyed using low-impact dyes. 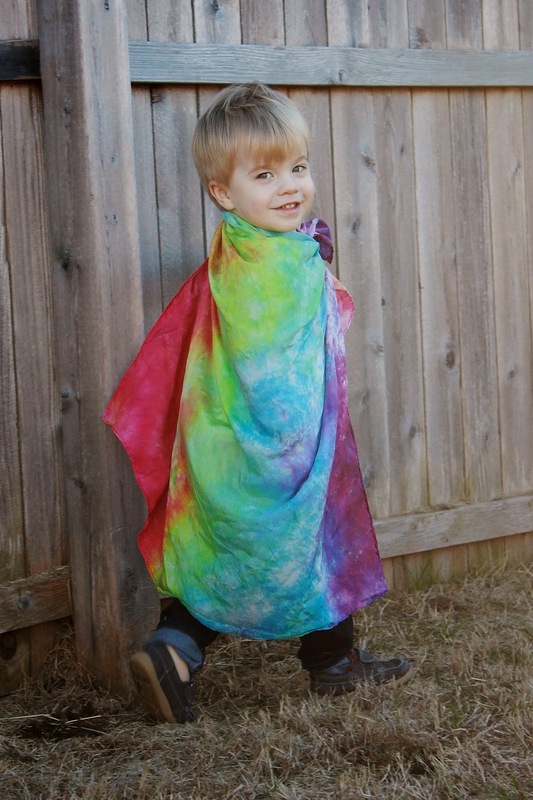 They are 100% silk, 35" by 35" and come in tons of different colors (Jude & Sloane are playing with the rainbow silks.) The playsilks are so great for children's imaginations as they can be anything! My kiddos loved wearing them as capes and holding two at a time while they blew in the wind. Over the Rainbow brings me so much joy because it enables me to engage in so many things that are meaningful to me including art, creating, upcycycling, babywearing, photography, networking with other handmakers and creative folks, and supporting small local businesses and handmade artisans. I am constantly getting new ideas of items to dye, techniques to experiment with, and colour combonations to try as well as where I can go with my business, who I could collaborate with, and products I could offer. It's so exciting! Every single part of it, I love. I love having a constant creative project on the go, I love dyeing the fabric, and all of the new techniques I am learning and experimenting with, I love the anticipation of waiting to see what the fabric will look like when it comes out of the dye or the elastics come off and all of the excess dye is washed out, and I love creating something unique and beautiful. I could not be more happy or more excited by what the future holds for Over the Rainbow! Ready for the fun part? 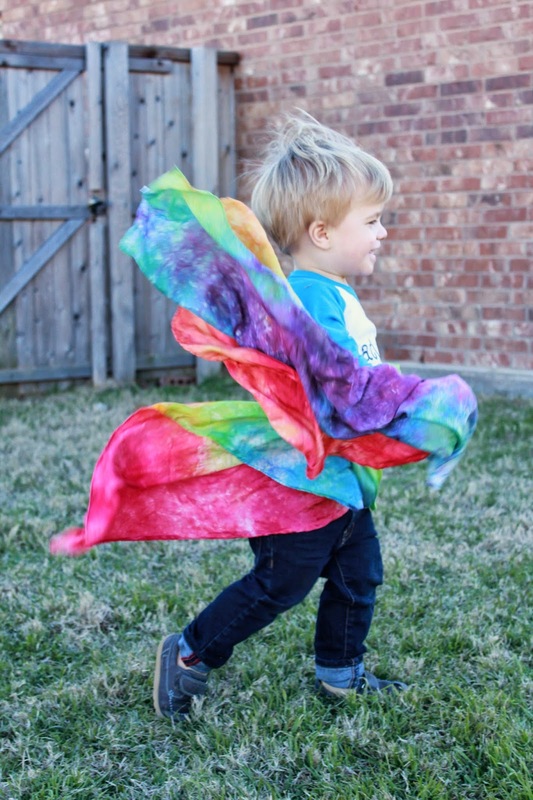 We are giving away TWO Rainbow Playsilks! There are several ways to enter and the giveaway runs through Thursday at midnight CST. The winner will be announced Friday morning! Enter below and be sure to check out Over the Rainbow's WEBSITE and ETSY SHOP! gorgeous!!! what a fun learning tool and 'toy'! My twins, Talon & Tanner would love this! Harper & Keegan would love these! Colby & Clara would have fun with these! My twins love scarves and parachutes so these would be great! I have a little one who would love these scarfs. My two year old twin girls would LOVE these!! Seraphia and Cecilia would love these! Mandy does beautiful work! We would love playsilks for the boys! Davis and Benton would love! One for my toddler and one for my niece. Omg these are so adorable .